For the latest edition of our series on our food and our world, Sound Bites. 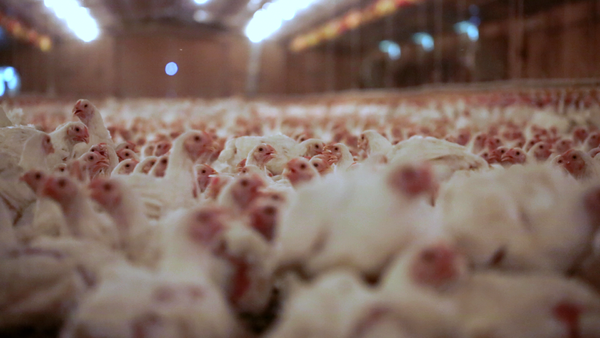 We begin the hour with a look at an op-ed piece by New York Times columnist Nicholas Kristof two weeks ago, “Abusing Chickens We Eat.” Kristof documents conditions on a Perdue Farms-contracted chicken farm in North Carolina. Joining us to comment on the column will be: Carole Morrison, chicken farmer, Bird’s Eye View Farm in Pocomoke City; Lee Richardson, Eastern Shore poultry, soy and corn farmer; and Rachel Dreskin, US Food Business Manager for Compassion in World Farming. Then, listen in to a special Sound Bites archive edition as we talk with chef and food justice activist Bryant Terry about his book Afro-Vegan: Farm-Fresh African, Caribbean, and Southern Flavors Remixed. Bryant, who lives in Oakland, CA, is the host of Urban Organic, a multi-episode web series that he co-created, and has also authored four books, including the critically acclaimed Vegan Soul Kitchen andGrub: Ideas for an Urban Organic Kitchen, which he co-authored with Anna Lappe.